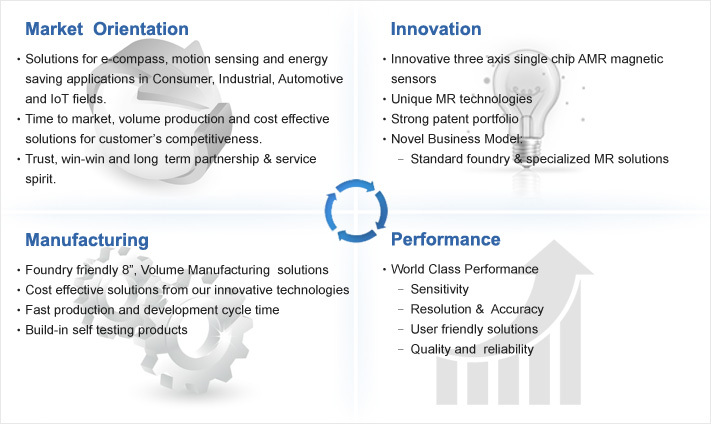 Voltafield’s proprietary Magneto Resistance(MR) technologies provide world class solutions for e-Compass, motion sensing and energy saving applications in consumer, industrial, automotive and IOT fields.A strong portfolio of more than 60 patents have been filed all over the world covering device, process, circuit and product design. With innovative technology, Voltafield delivers the world’s first 3-axis single-chip AMR sensor and provide world-class magnetometer solutions with high quality, high reliability and excellent performance in sensitivity, resolution and accuracy. Our novel MR manufacturing technology utilizes foundry process that offers stable, reliable volume production capabilities and partner with world class foundry provides. 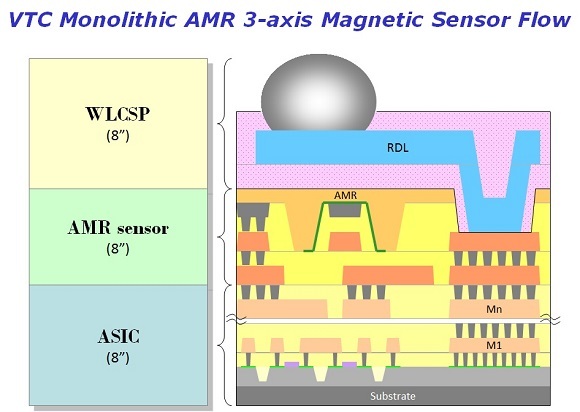 It also realizes integration of ASIC and AMR sensor, gaining benefits of smaller package size, less package cost and design flexibility for sensor fusion. Voltafield‘s unique build-in self testing (BIST) and built-in self calibration (BISC) enable an efficient way for magnetic function diagnosis and calibration which further enhance quality performance. Moreover, our strong design capability provides standard and customized product design services to meet customer’s needs.